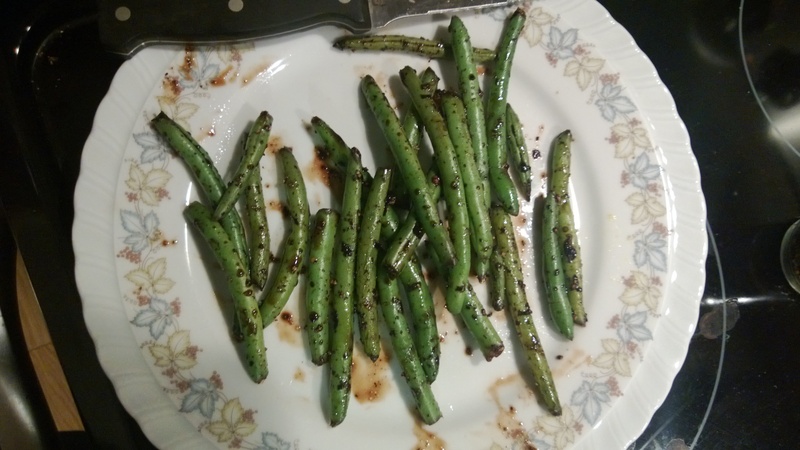 There are lots of mock "tuna" recipes out there, but I decided to create one myself using chickpeas and Bema and Pa's Dill Pickle Infused Balsamic Vinegar. This goes great with air-fried sweet potato toast, salad, sandwiches, and whatever else suits your fancy. 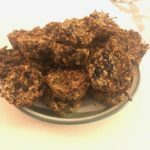 These are denser than traditional flour-based muffins, but they’re delicious and very satisfying and a great way to pack in extra veggies and fruits! This is a creamy, traditional-flavored hummus perfect for sandwiches and salads. 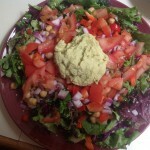 This is a nutrient-packed, fun twist on hummus. Spice blends like the pumpkin pie spice and five spice powder used in this recipe are an easy way to boost the antioxidant content of your meals. The spices are already combined for you, so you have only one ingredient to add to get the benefits of a variety of spices and flavors. While the two used here are sweeter blends, there are many savory spice blends on the market as well. Use them freely to flavor your other healthy meals and add even more anti-inflammatory power to your diet! 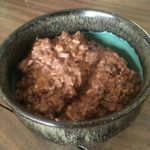 This recipe is super-easy to make, and is great as a dessert or as a snack, served hot or cold! 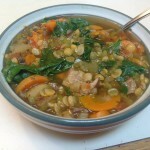 This is a delicious, quick, and easy dish you can make in minutes using ingredients stocked in your freezer and pantry. 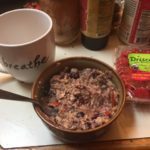 This is an alternative way to eat oatmeal without waiting for it to cook in the morning. You can eat it chilled or warmed, and you can even bake it for cookies or bars. It makes a great dessert too! Feel free to substitute in the fruits and spices of your choice. 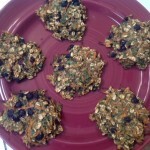 These cookies are healthy enough to eat for breakfast on the go, and they make a great snack or dessert, too! They're easy enough that the kids can help to make them, and they may even come up with some other delicious combinations of fruits and spices on their own. 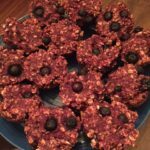 These muffins are a healthy treat made without flour, sugar or other refined sweeteners, salt, or oil. If your family is anything like mine, you always have cooked sweet potatoes on hand. If you haven't yet tried the Japanese, by all means do so as soon as you can. They taste nothing like orange sweet potatoes and are really like dessert all on their own. This is a creative way to incorporate them for kids who don't like sweet potatoes in particular, like one of my daughters. She can't get enough of these muffins! I hope you enjoy them as much as we do! This is great served warm, room temp, or chilled. It's a great breakfast or snack too. This is one of my family's favorite go-to recipes. 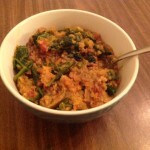 It's fairly quick and easy to make, if you have a food processor and a pressure cooker. Once it's at pressure, it only cooks for 4-5 minutes. The combination of Indian spices and the variety of vegetables makes this a very healthy, delicious, and comforting soup. These scrumptious enchiladas skip the cheese in favor of fresh greens and bell pepper, as well as corn and beans. 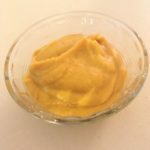 We love Indian food; this is a flavorful variation on traditional hummus that is very popular in our house. 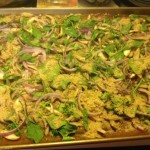 Here's a delicious whole-food plant-based version of a popular comfort food: a Nutrient Dense Pizza! These delicious cookies are packed with nutrition. They're soft and chewy and would also make a great breakfast on the go. They're gluten-free and contain no sugar, salt, or oil- just the delicious flavors of the fruit come through. Big hit for the kids! These are delicious straight out of the oven but leftovers should be refrigerated. We enjoy eating them reheated. 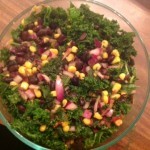 This is a very versatile recipe, as you can use the massaged kale with just about any beans, vegetables, and dressing. It's also great with chickpeas and a tahini-based dressing, with some chopped onion, peppers, carrots, celery and cucumbers! 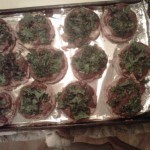 It is also great topped with fresh cilantro. 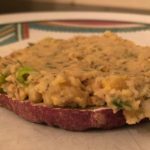 It was adapted from a recipe from PCRM's (Physician's Committee for Responsible Medicine) Food for Life Kickstart Program. 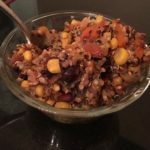 This is a delicious, nutritious, and easy recipe from our favorite whole-food vegan chef that is a favorite in my house! 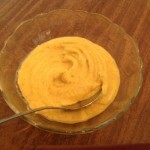 I discovered that zucchini is a great addition to hummus, as it gives a creamy texture. Plus, it's a great way to pack in more veggies! Delicious spread for Romaine leaves and can be used as a dip for crudités! 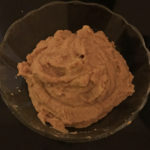 This is a delicious Mexican twist on hummus! Makes a great dip for raw vegetables or baked tortilla chips, and a great spread for a sandwich or burrito. I use this to top Ezekiel Sprouted Grain English Muffins, along with tomato sauce (salt-, sugar-, oil-free), more nutritional yeast, mushrooms and spinach; bake it at 350° for about 10-15 minutes, and it tastes like pizza!! A hearty and tasty entree for any occasion. 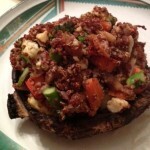 A quick savory snack or a side-dish for any meal.